Want to treat yourself but waiting for payday to come? Don't despair, we got covered. We've put together a list of unique products on LBB Specials for you that are all under INR 499. So take your pick from a watch, healthy snacks, stationery or skincare. Treat yourself, you're special! This watch with palm trees on the dial and a leather strap looks so nice. It's simple yet elegant. Pair it with your favourite printed and floral wardrobe or show it off at Sunday brunches – it goes with everything. This metal bookmark comes in different colours and you can get it customised too. So get your name or maybe a friend's put on it and gift it to them. 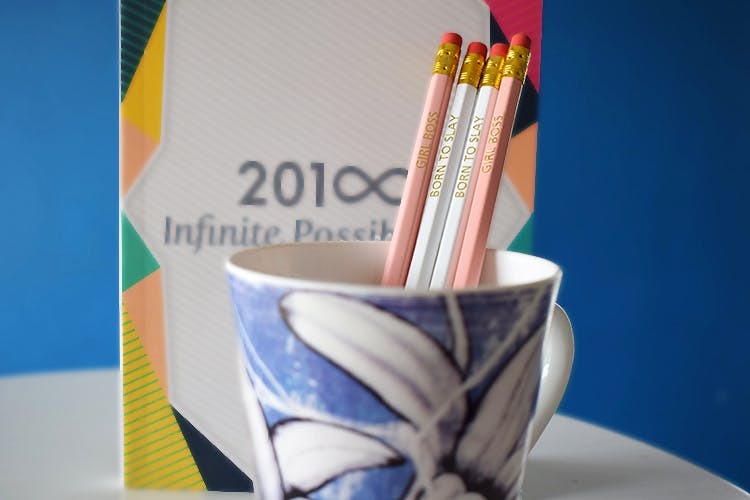 These trendy, statement pencils are just perfect for any stationery enthusiast. The pencils are hex, which means they won't roll of your desk. They're dark, rich and great to write or sketch with. You get a set of four with quotes on them. This natural body scrub works wonders for skin exfoliation.It's natural ingredients that will help in exfoliating your skin and removing dead cells. They come in glass bottles that’s easy to store and gift. Love crackers? These baked crackers are the perfect for healthy snacking – they're made from natural ingredients, they're high in protein and taste great. You can pick from one of the four flavours.